This page includes the postcards showing Lighthouses in Geoff Topp's id=. Other than re-organisation, and the addition of notes, the content is the same as when published on the Merchantnavyofficers.com website. The Bidston Observatory and Lighthouse. 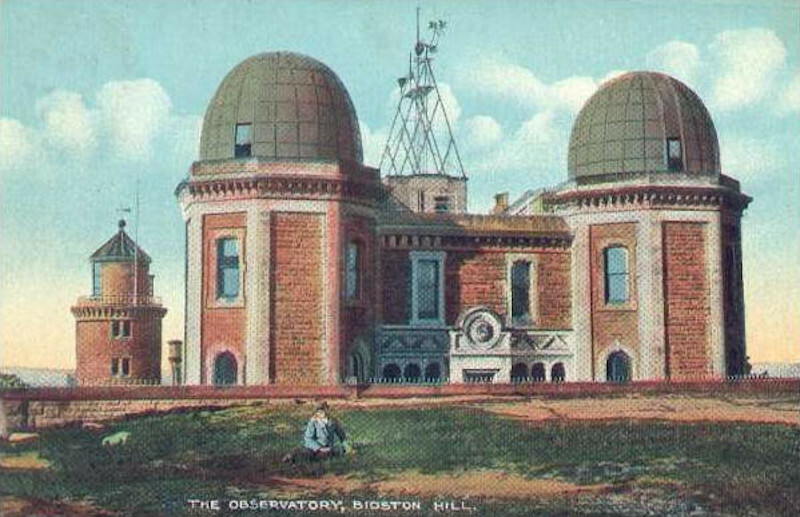 Note: Bidstone observatory was built in 1866 and its primary purpose was to determine the exact time. A gun based near Morpeth Dock and overlooking the River Mersey was fired electrically from the Observatory at exactly 1 PM every day - "the One o'clock gun". There has been a lighthouse on the Bidstone site since 1771. It is more than two miles from the sea but on top of a hill. 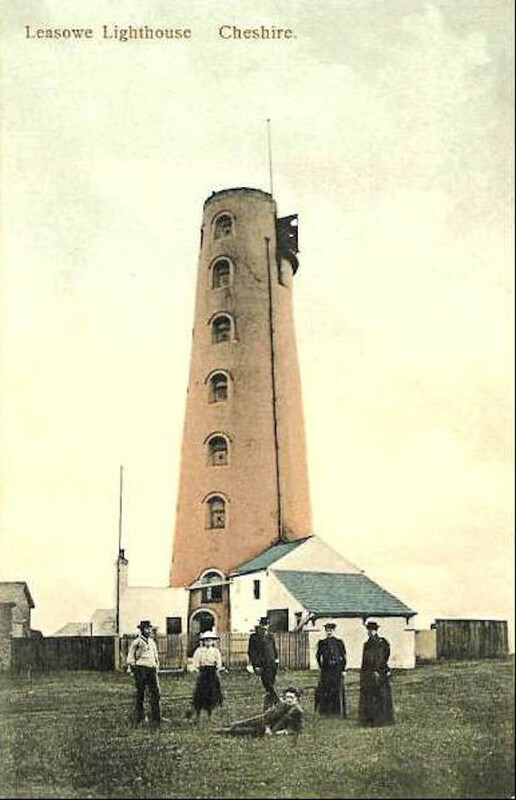 The lighthouse shown in the postcard was completed in 1873 and boasted a parabolic reflector which was very advanced for its time. The lighthouse ceased to be operational in 1913 and is now privately owned. Further information can be found HERE. 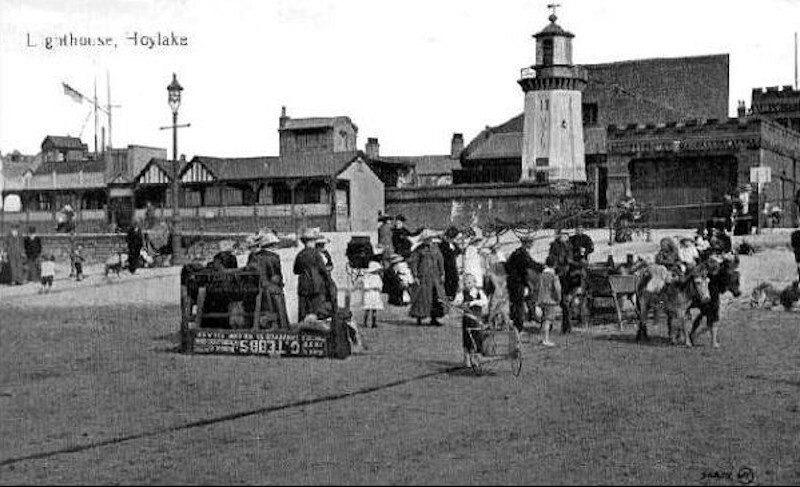 Note: Hoylake at one time boasted two lighthouses - both originally built in 1763. The 'lower' one was made of wood and could be moved to align with the upper one. The upper lighthouse, rebuilt in the form of an octagonal brick tower and featured here, remained in service until 1886 and now forms part of a private residence. 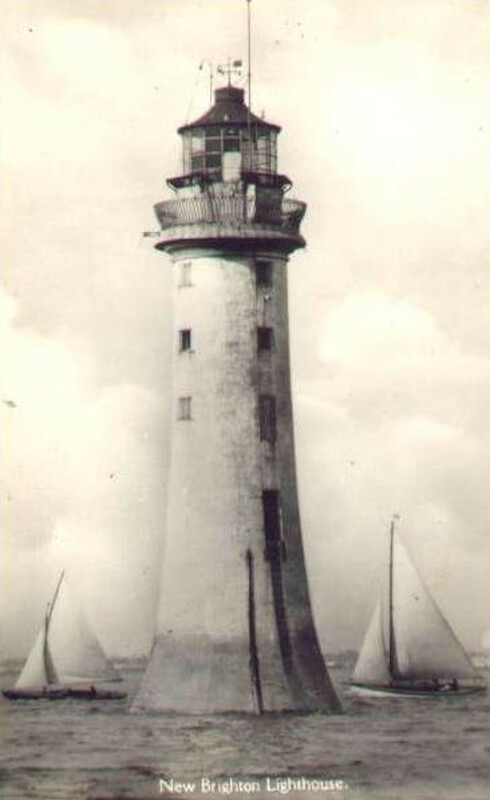 This is the Leasowe Lighthouse at an unknown date. 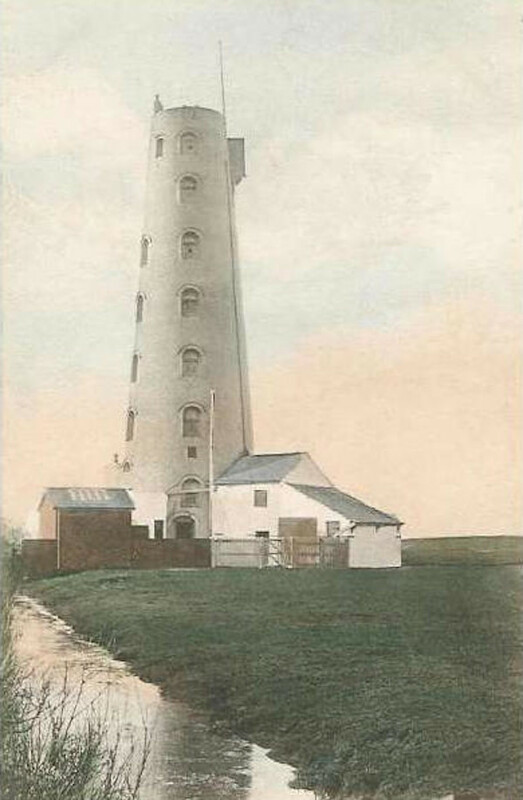 This is the Leasowe Lighthouse - the date is thought to be about 1905. Note: This lighthouse was built in 1763 by the Mersey Docks and Harbour Board and is claimed to be the oldest brick-built lighthouse in Britain. It was taken out of service in 1908 at which time it apparently had the only female lighthouse keeper in the country. It has been preserved and houses a visitor centre. 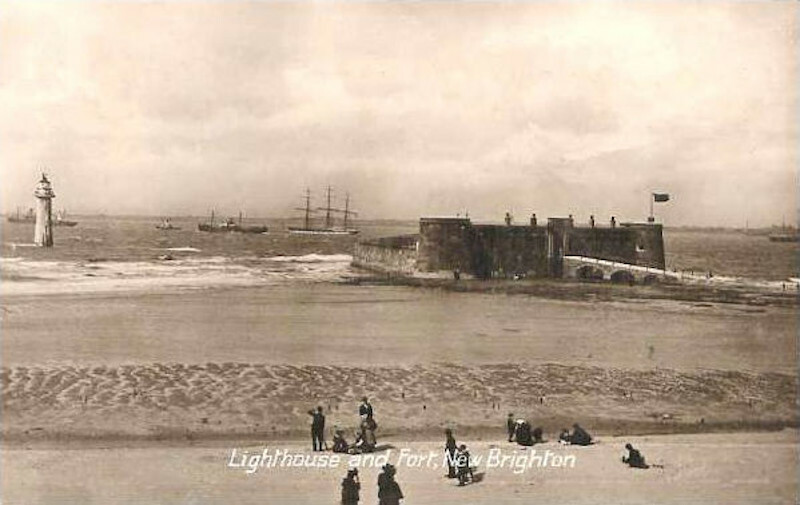 Perch Rock Fort and the New Brighton lighthouse - believed to date from about 1906. 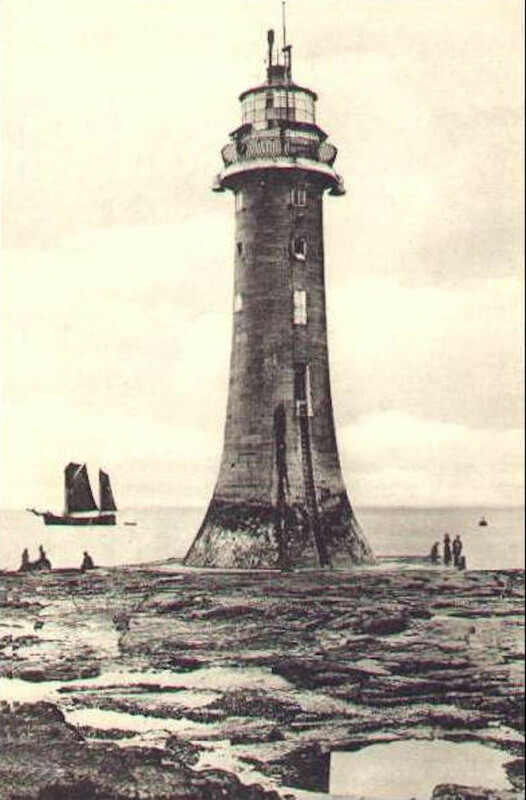 New Brighton lighthouse at low water in the age of sail. The date is not known. New Brighton lighthouse at high water with sailing yachts passing. The date is not known. Note: The first lighthouse at this location was a wooden affair on a tripod and erected in 1683; it was frequently washed away. A new lighthouse, following the model of the Eddystone lighthouse, was completed in 1830 and is believed to have had one of the first revolving lights. It was taken out of service in 1973 and can now be rented as holiday accommodation. The fort was completed in 1829 as a coastal defence battery to protect the port of Liverpool and can be visited as a museum.